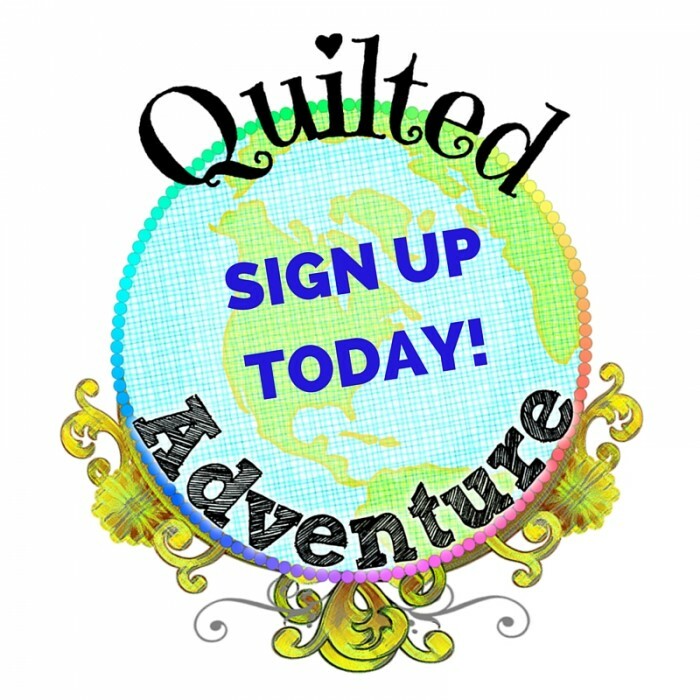 Quilted Adventure Online Retreat- SIGNUP TODAY! The fee to register is just $99. That includes the twelve different video classes with their accompanying PDF documents, a Mystery Quilt with monthly video clues and PDF files, giveaways, fun swap opportunities, and much more! You will also have access to everything for the entire year! So, if you can’t get to a project one month no worries, make it later on in the year when you have some more time. Here is our full list of instructors! This is going to be a super fun retreat and I hope you can join us! Want to join our online quilt retreat for FREE? Enter the giveaway! How is this different than thr Crafty Gemini quilt club that I belong to? I signed up and registered .Where do we sign in to the site? Hi, I’m in Australia and I would like to be involved in the Quilting Retreat Adventure but I need to ask some questions first. Do the workshop project materials have to be purchased from the teachers of the individual workshops (because that would cause me a great deal of difficultly) or do we purchase all the material and associated requirements from our own sources? When will this club start? I have signed up but have not heard anything else about the club. Where canI get more info ?